Now, the SHE Power Collective is NOT something I have planned meticulously. It is, however, something that fills me with joy + curiosity. And honestly? That's ALL I care about right now. Being a creatrix who is also seen + experienced as an author, business woman + guide means that people sometimes have expectations of you - that you've got your sh*t together, that somehow you're super-human, that you have access to all the techno + resources to make super-swank online portals + that you create 'products' + make a ton of money. I get it. It's how society has shaped us. 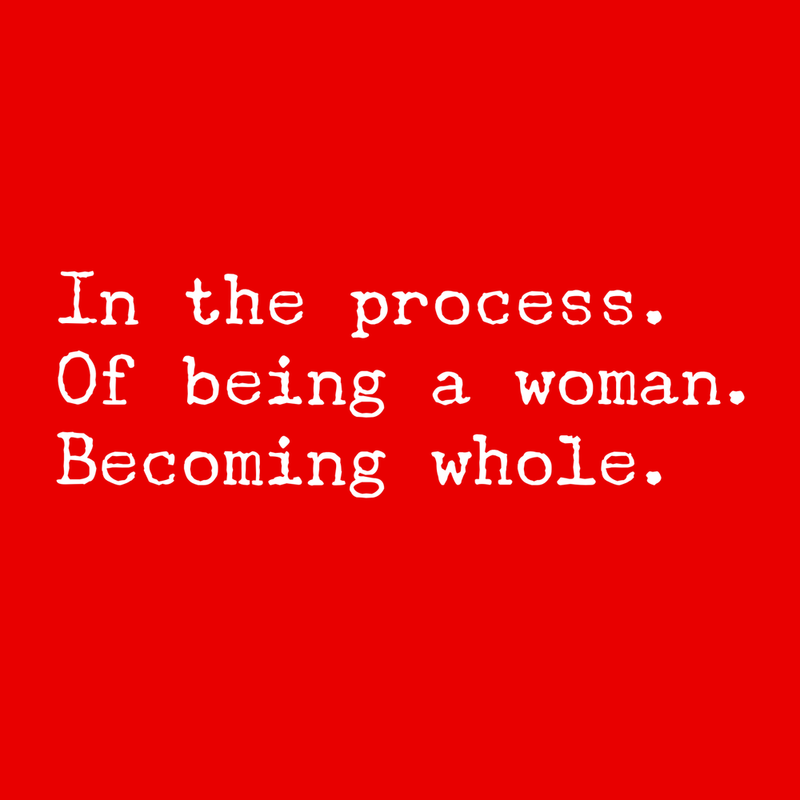 To gather in community + explore, discuss + unravel the internal/external/cosmic SHE 'scape. TOGETHER. I'm not someone who has EVER claimed to have it all figured out, I'm a sharer, I'm a creator + an explorer. I'm not super-glossy, I don't know how to (+ nor do I want to) work with fancy techno, I like to play with possibilities + I like to make everything I share as simple + accessible as possible. I've been doing this on social media for years now. I created the #sharemycycle + was one of the first women to openly share my menstrual experience + cervical fluid on insta. (FYI: that # is now used by women globally to discuss + normalise menstrual cycle on social media - YASSS!) but what I've been finding more + more, as I go deeper into the exploration of my creative expression + experience as a woman + all that brings up for me, is that social media no longer feels like a place I want to do that. Don't worry, I'm not ditching social media altogether - I still love the 'gram - I'm just REALLY recognising how I let it become a TOTAL sucker of energy, time + creativity + I'm OVER IT. More than ever, women are being called to stand up, show up + be heard + I believe we need safe spaces to unravel, to process, to figure it out, heal + discuss as we grow + remember. We need a space to be in self-study (self-mistress-ry) + gain wisdom + insight about our true nature because reclaiming + rewilding is messy, not linear, + needs a metric f*ck ton of compassion for ourselves + for each other as we navigate it all. So, I open this space: the SHE POWER COLLECTIVE. It could be an online cauldron/container for me to create + alchemise + share on my terms + for you to witness this + explore + share your own process + experience. It could be a place for us to hold, support, educate, inform + inspire each other. It could be a place to receive SHE magic + medicine. It could be whatever WE want it to be. And THAT excites me, but right now, I don't know. The more okay we get with not knowing, not having it all figured it out, the easier it becomes to clear our fears of the unknown (of which I have a gazillion, BTW. I am THE best story-teller. Give me space + I will create a story to fill it. It's taken a lot of unpicking of patriarchal conditioning to realise that the story I create doesn't always have to be a fear + dark filled narrative, I can also create a story of joy + love + curiosity + playfulness. Who knew?) + allow ourselves to trust our true nature + our own unique-to-us rhythmic intel to start to slowly become our guide. What I DO know is that NONE of us should wait 'til we have it figured out to show up. There's no time for that anymore. So, I worried less about what will work? What will people think? Should I be more professional? Should I post a ton of content before I invite you to come be in communion with me? and I got really excited about all the ways in which we can show up together. For example, I cannot wait to start writing and sharing a living, in-the-moment, 'book' in this space with you, not the edited highlights that have been filtered through editors + sales departments, but all the bits in between, the figuring it out, the 'riffs, rituals, cyclic/cosmic intel, in-your-body-ment practices, self-source-ery. Basically, real time, unfolding SHE medicine. I'm NOT a planner so the extent of figuring out what to share was me, sat with paper + an inky red pen, asking SHE 'how can I be of service?' I drank cacao, and the responses are the tiers that I've shared with you. Well, that will all be shaped in collaboration with the medicine of the women that gather because one thing I know for sure is that overplanning kills magic. Which is why, I want to invite you to check in with your body + your gut, and if it feels good, to come and join me. Click HERE or here: https://www.patreon.com/user?u=8226061 + come join me! FYI: I WILL still be creating + sharing programmes + products which ALL patreon members will get a discount code for. I WILL still share on social media, but not as much because I want to bring all my love + attention to the SHE Power Collective, and I WILL deffo still send out SHE mail. Who knows if this will work, and who knows what 'this is working' even looks like, but I'm open to the exploration + I hope you come join me!